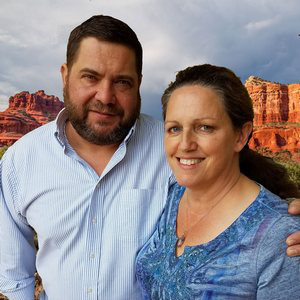 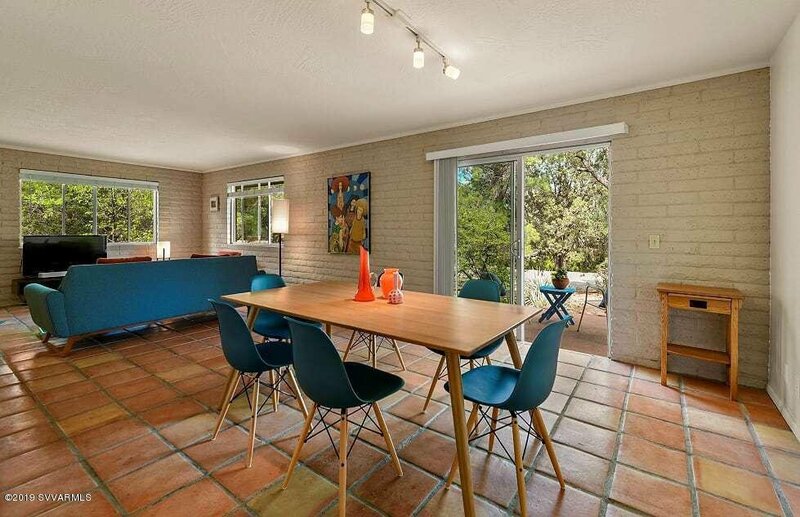 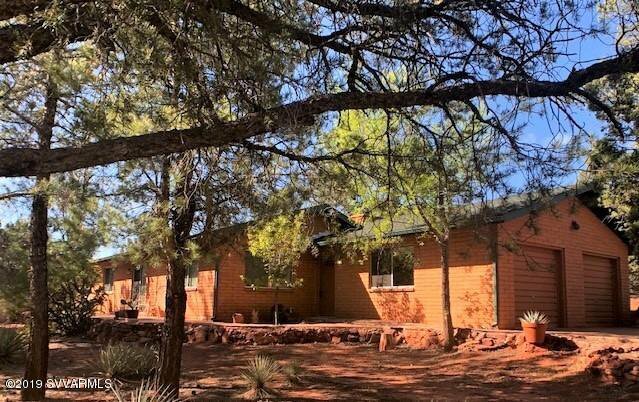 235 Arroyo Pinon Drive, Sedona, Sedona real estate. 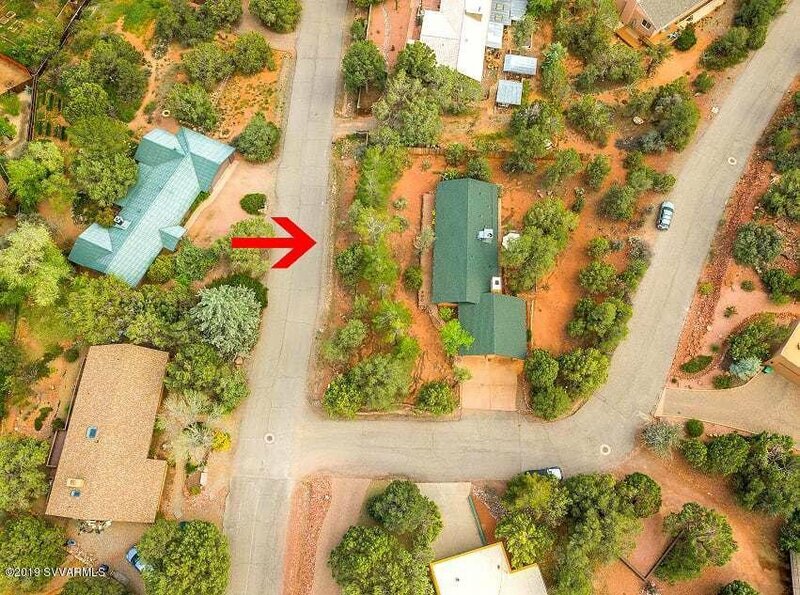 Sedona Verde Valley MLS number for this Sedona property is 519474. 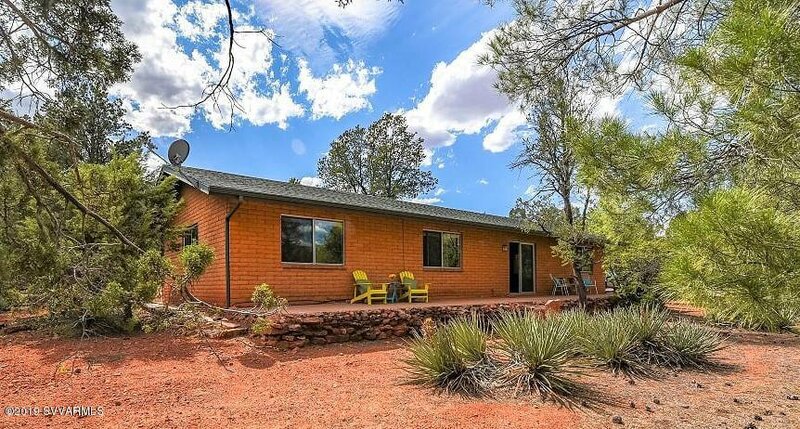 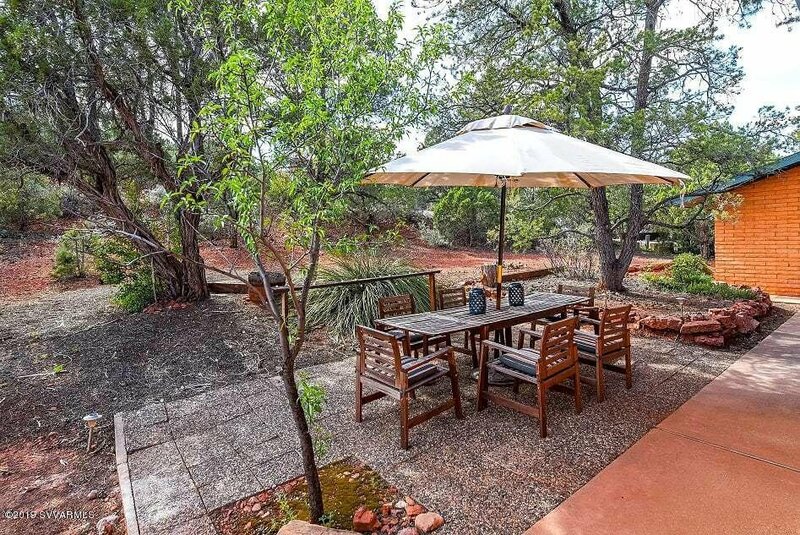 Enveloped amongst the trees in West Sedona with peek a boo red rock views lies this darling that has been refitted for today's Living. 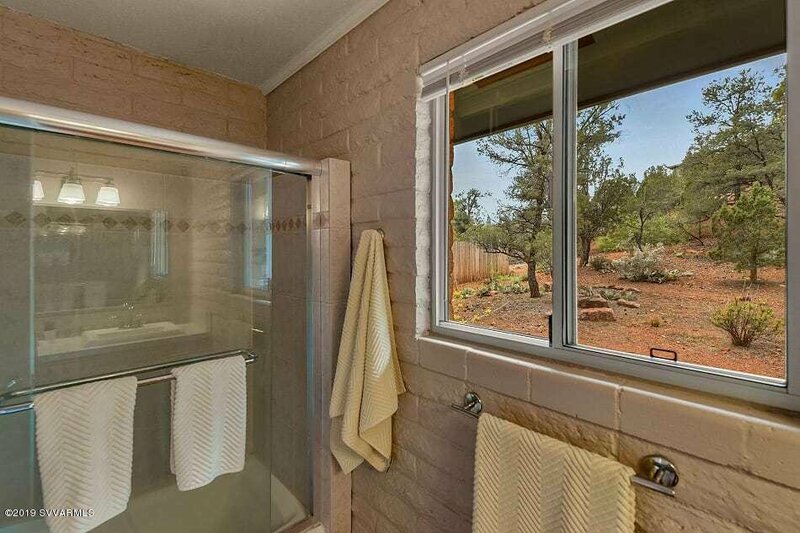 With a New Roof , Gutters, Windows, Sliders, and Saltillo Tiling, this darling will charm you the moment you walk in. 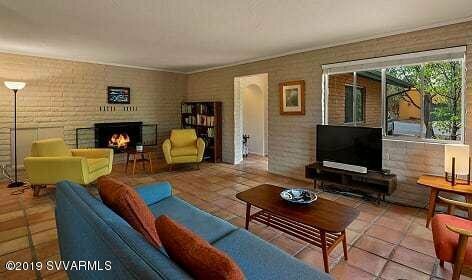 Open Living/ Dining Area with woodburning fireplace and sliders that spill out onto an enormous front patio ideal to sip your morning joe. 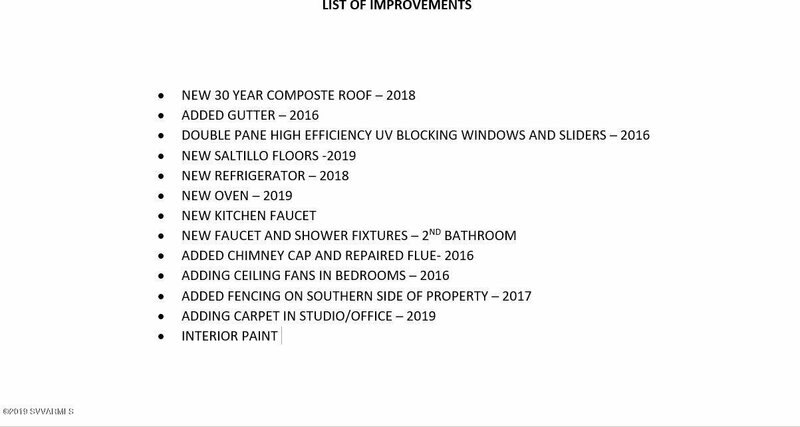 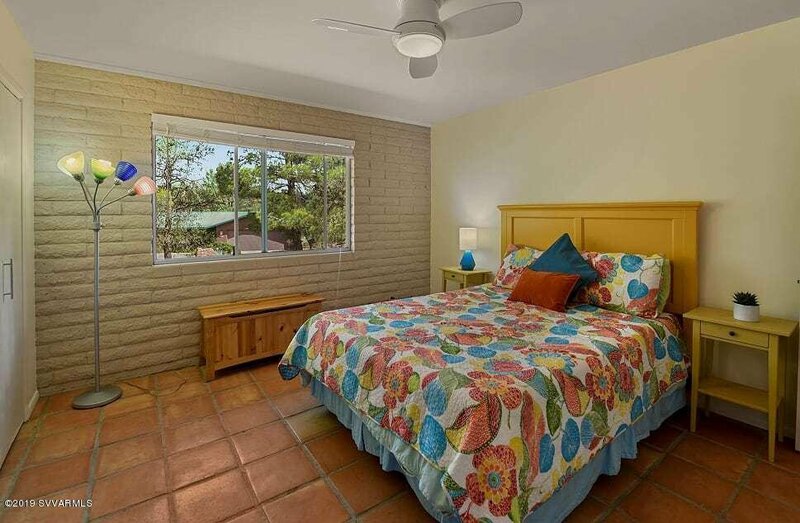 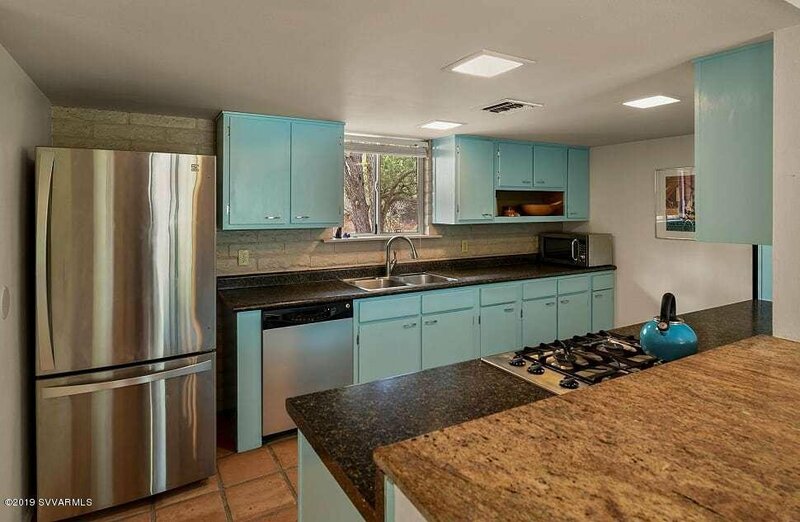 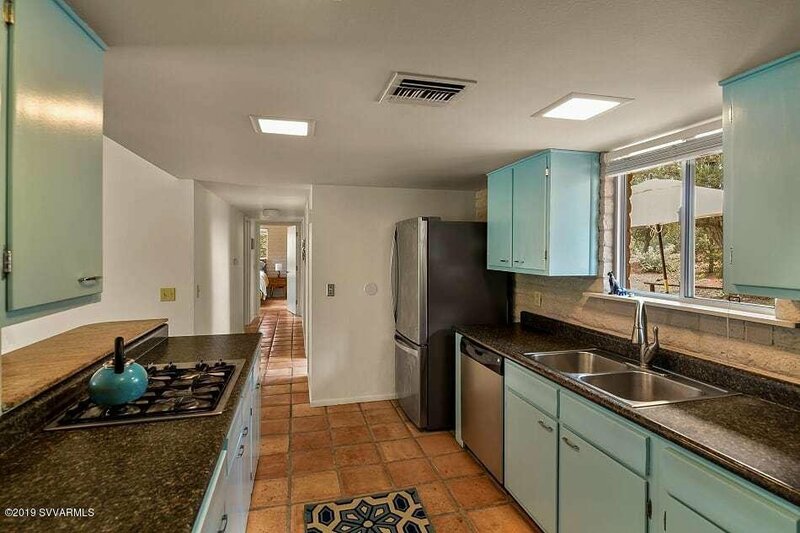 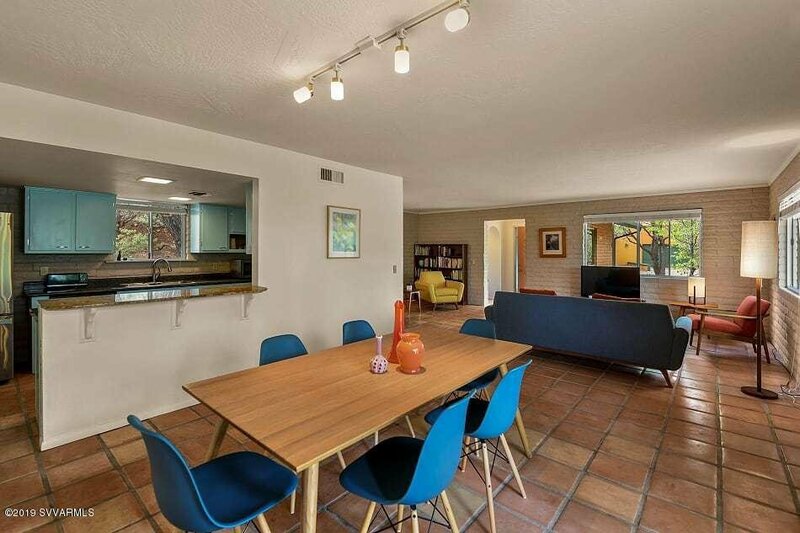 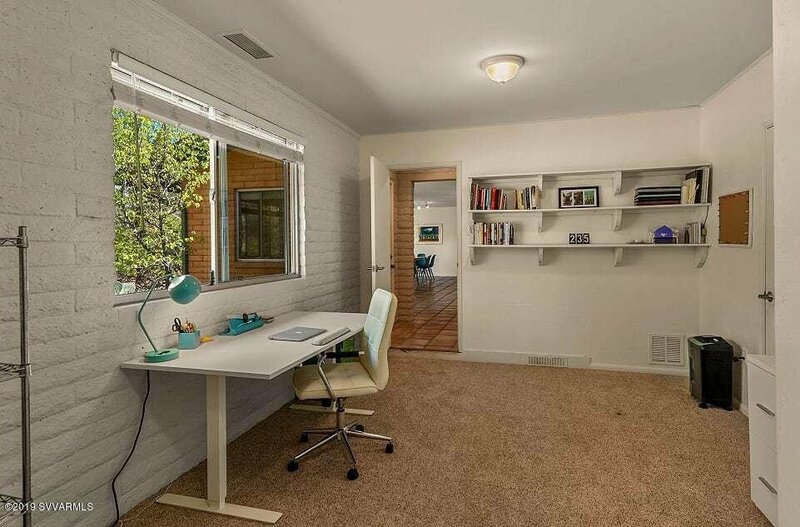 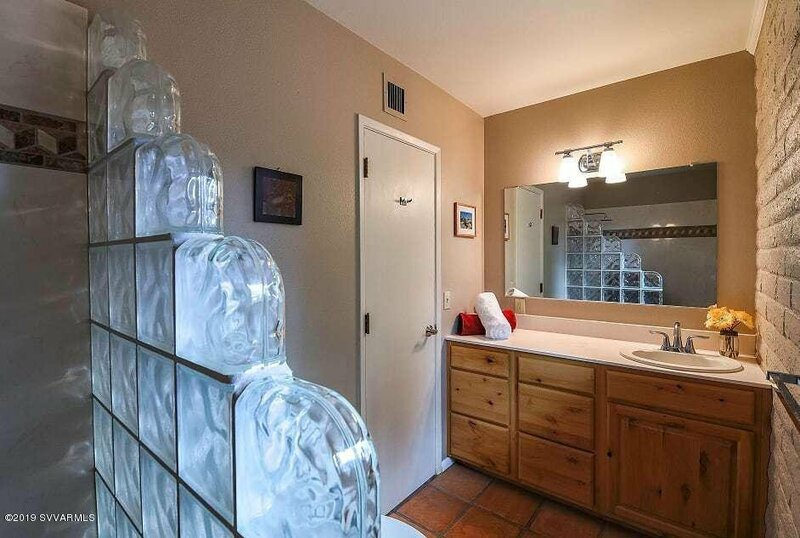 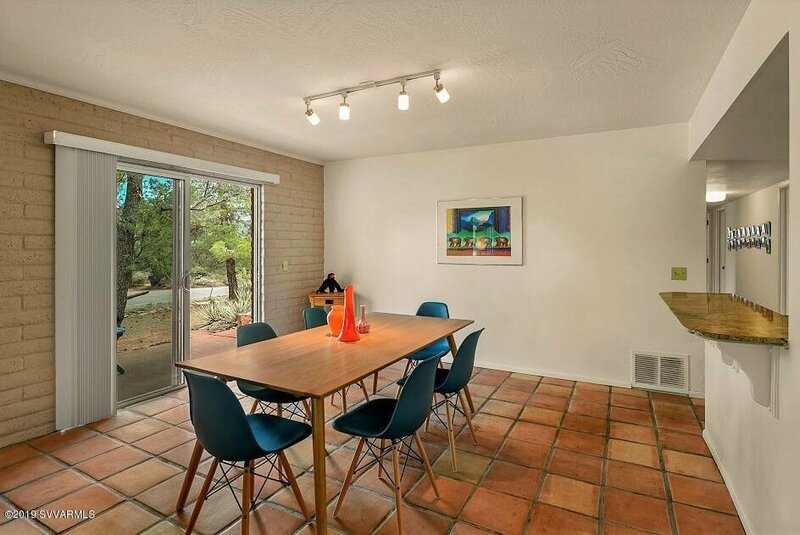 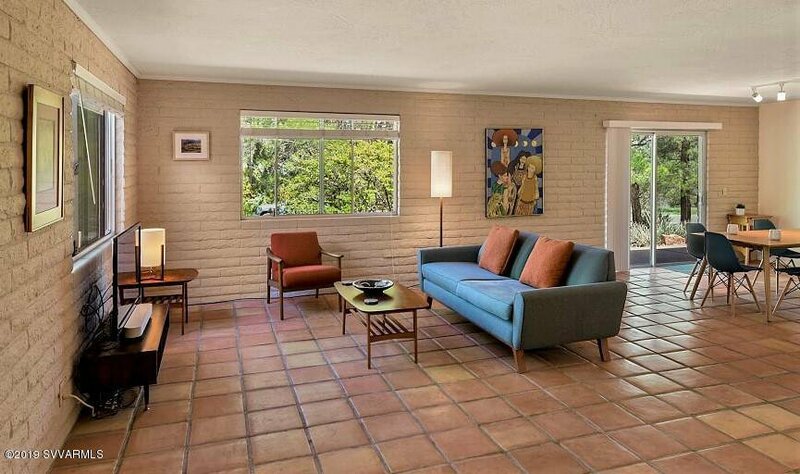 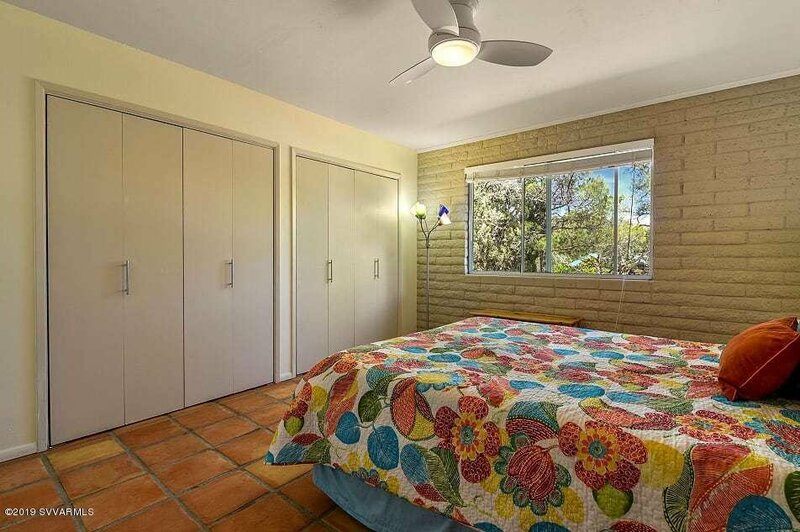 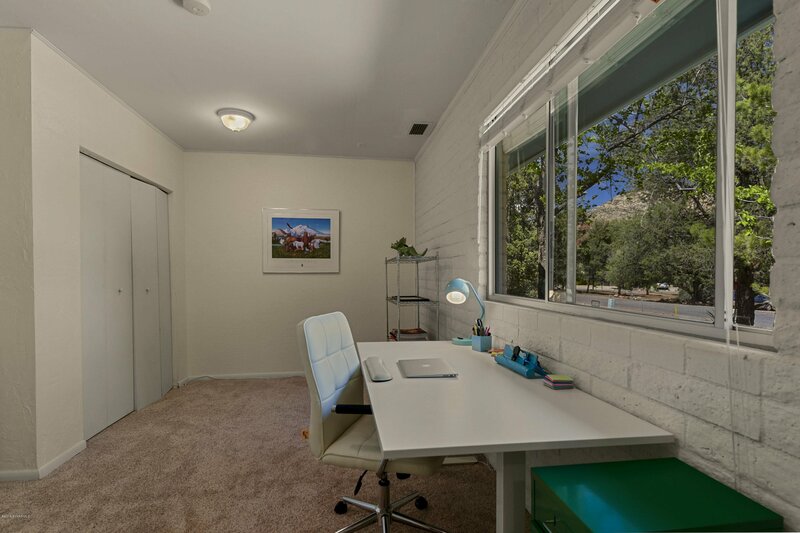 2 large Bedrooms with loads of Natural Light entice with double closets, current office (think 3rd bedroom), Galley Kitchen, and 1 3/4 baths recently remodeled all add to the appeal. 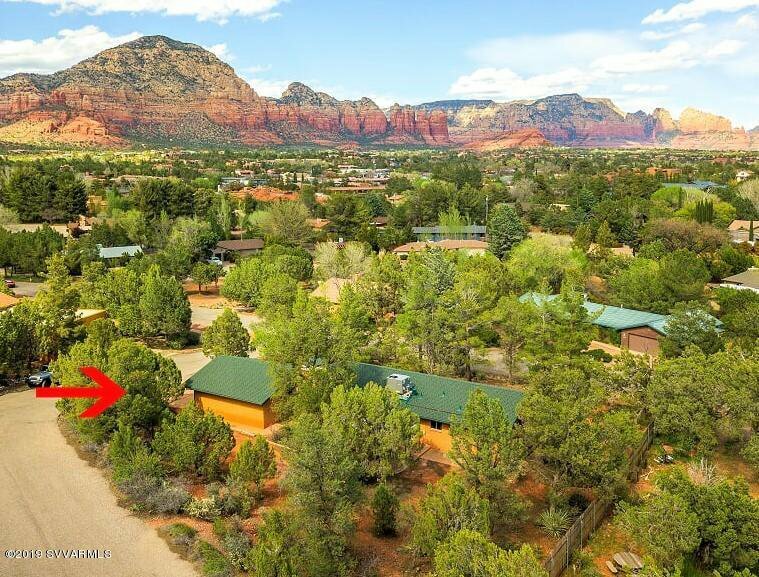 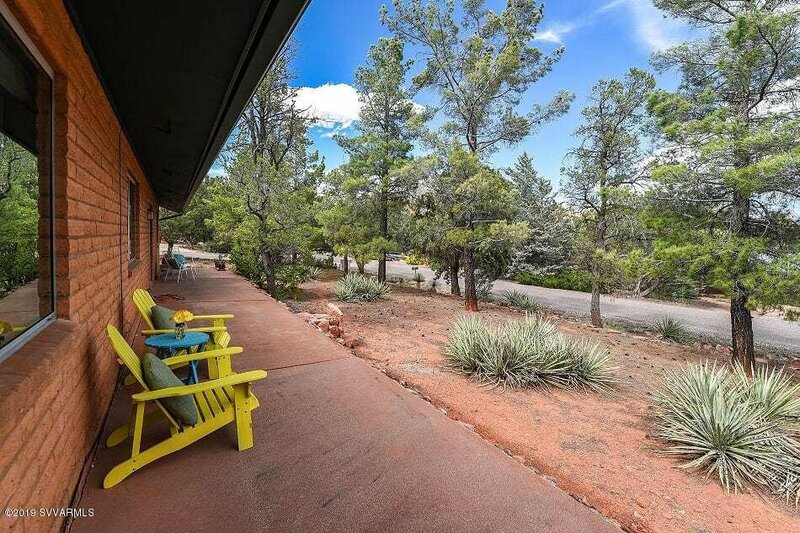 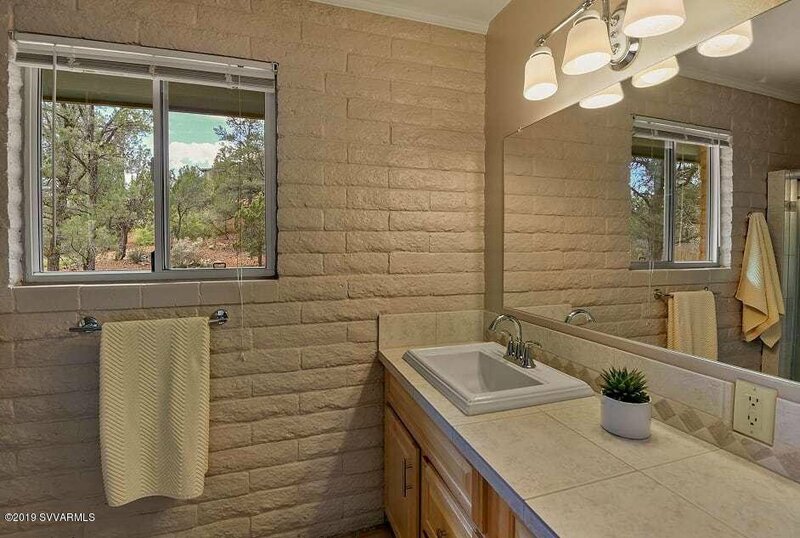 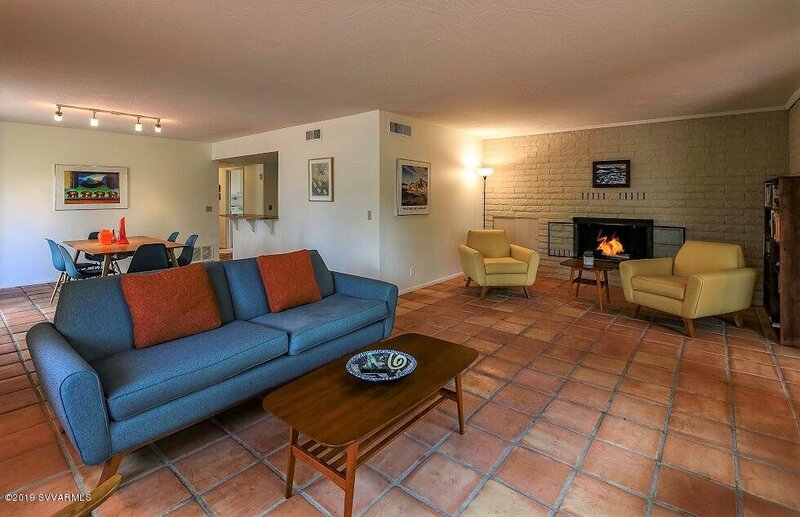 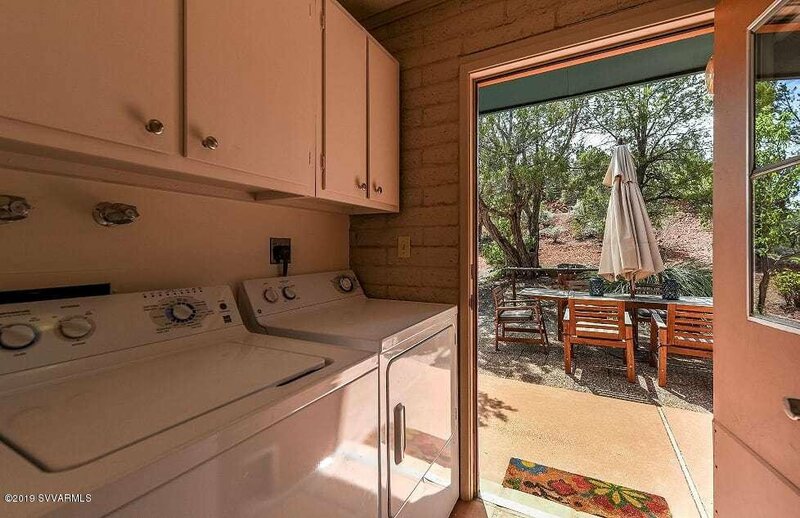 Minutes to Hiking, Biking and the Hustle of Sedona yet feeling very secluded on 1/3 of an acre. 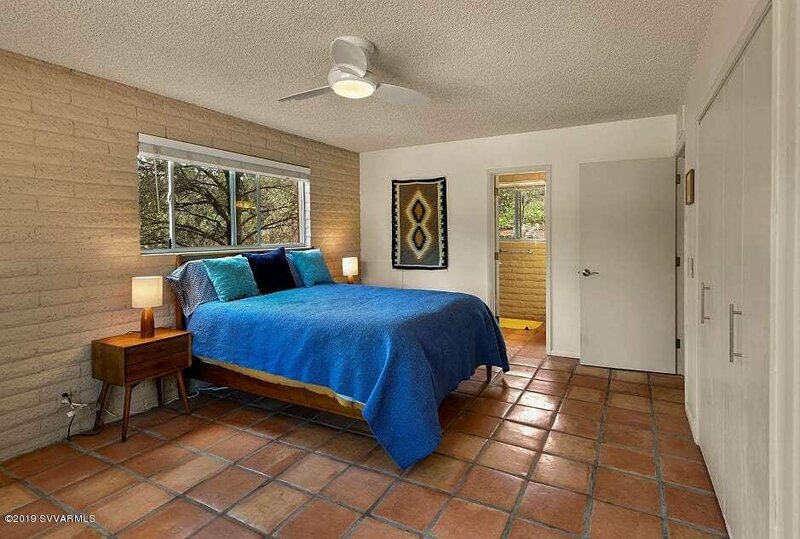 AIRBNB allowed - so live in it, rent it, just buy it before this charmer becomes the apple of someone else' eye. 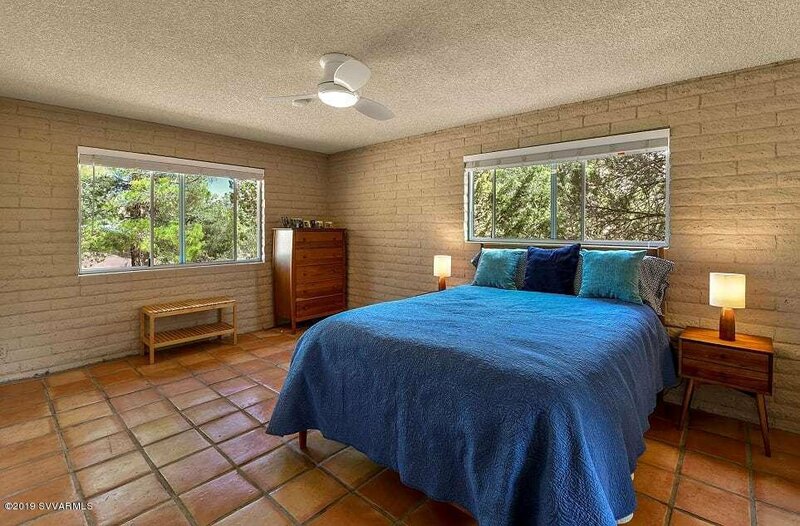 Listing courtesy of Barbara Baker Realty LLC.